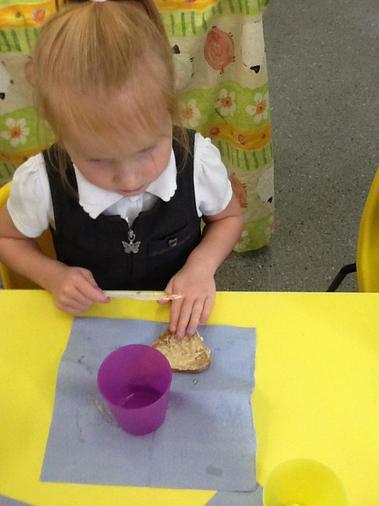 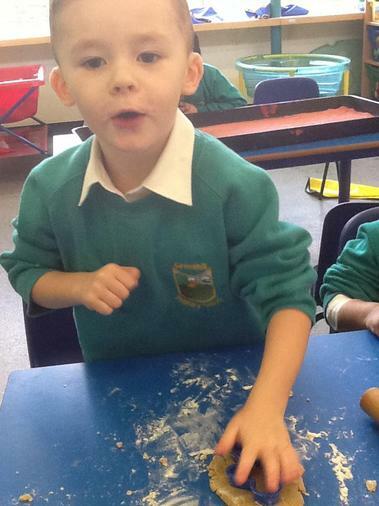 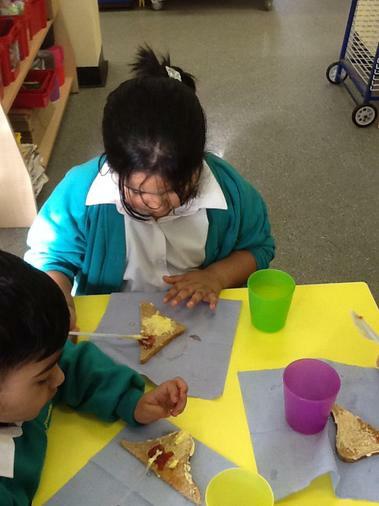 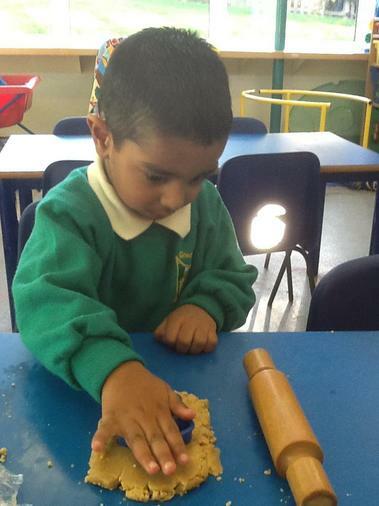 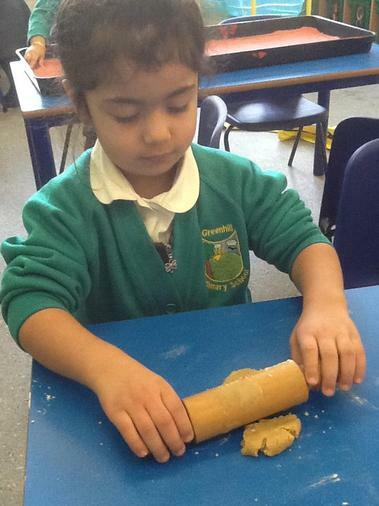 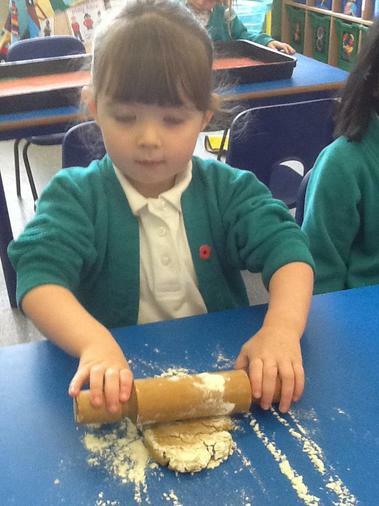 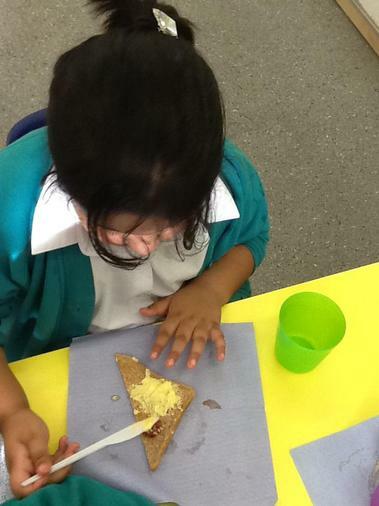 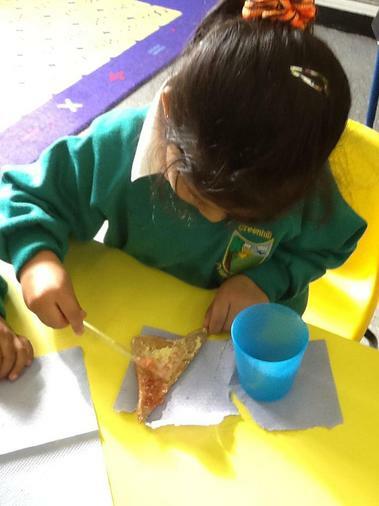 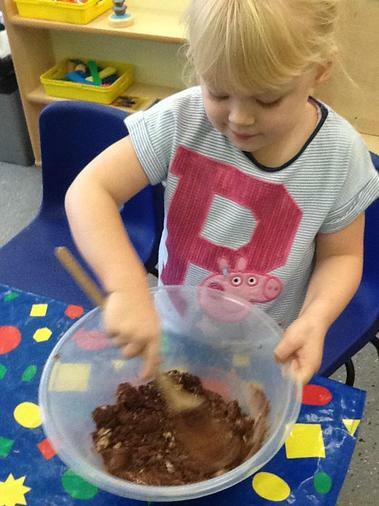 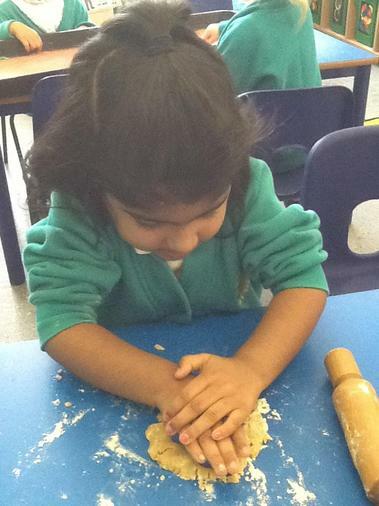 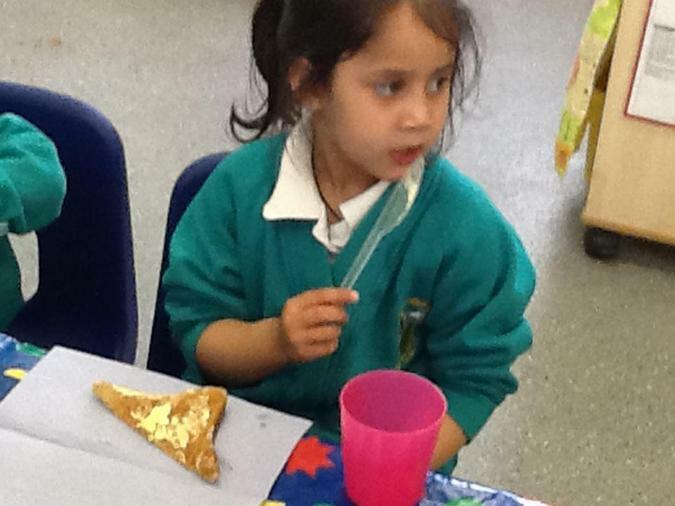 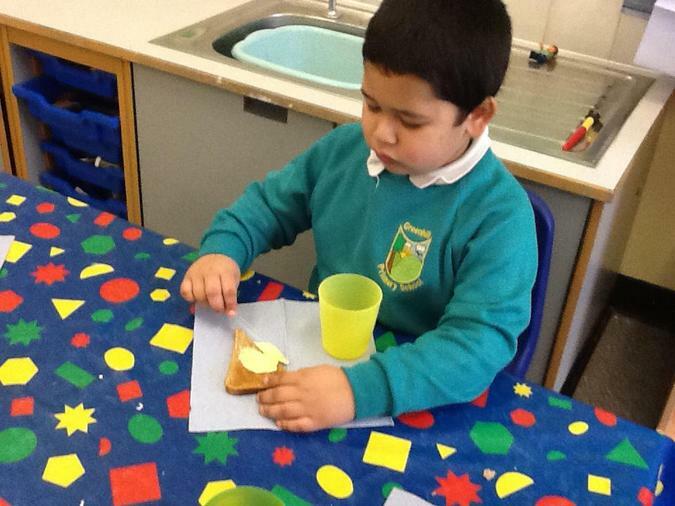 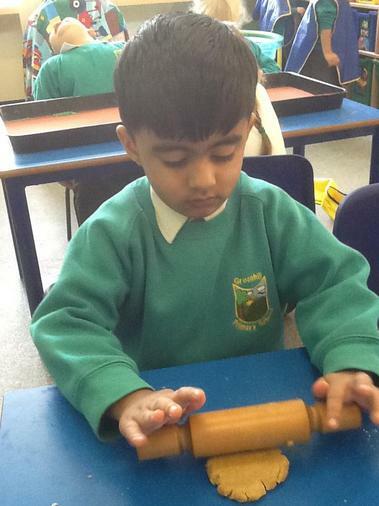 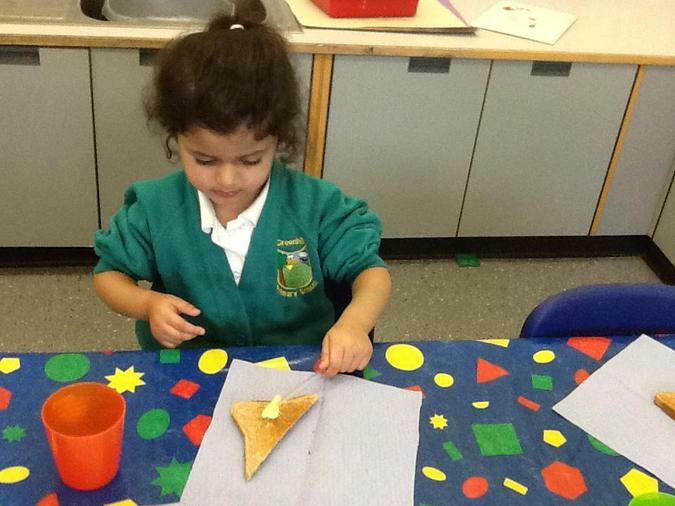 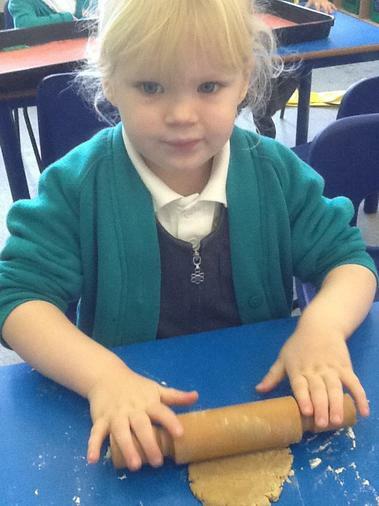 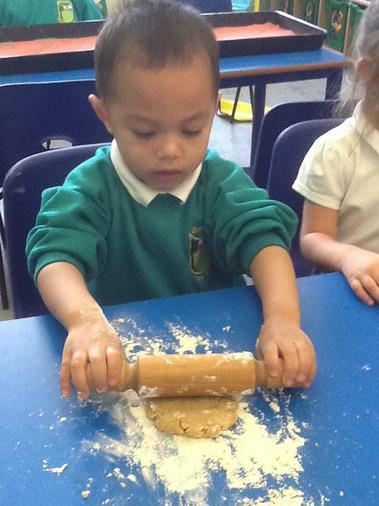 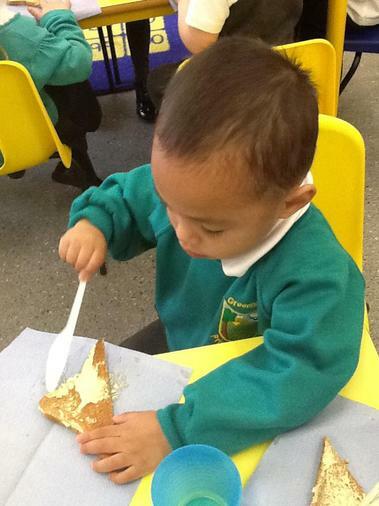 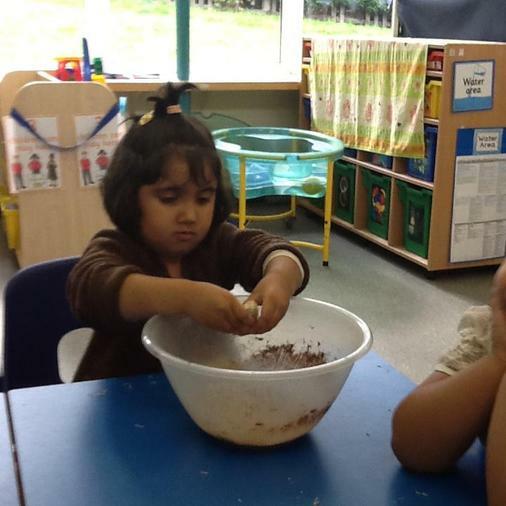 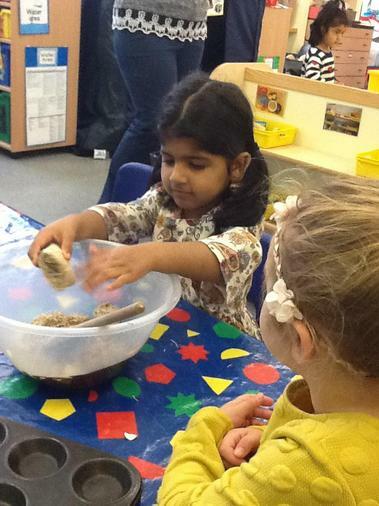 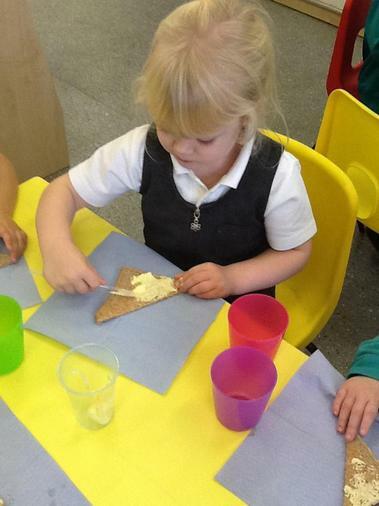 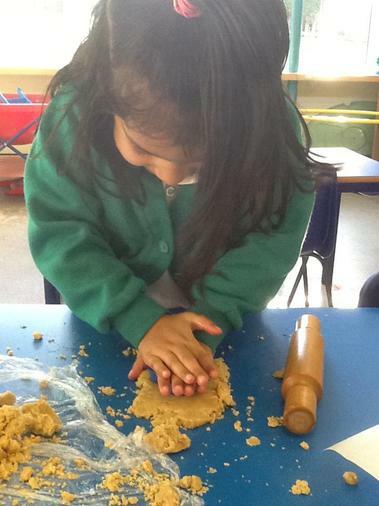 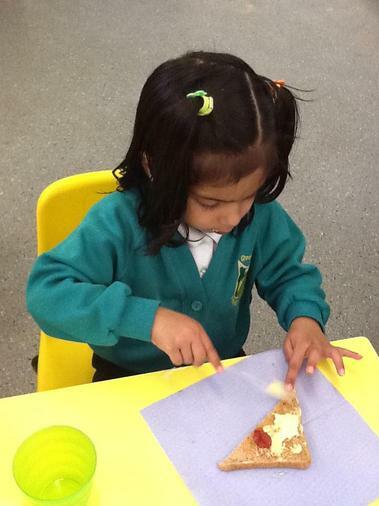 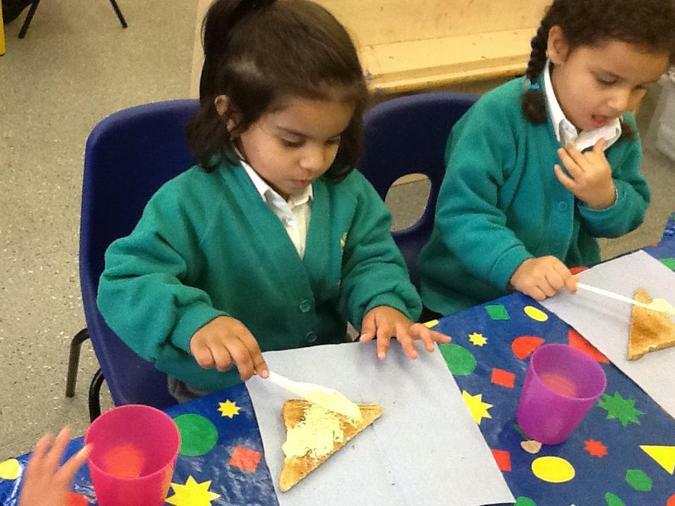 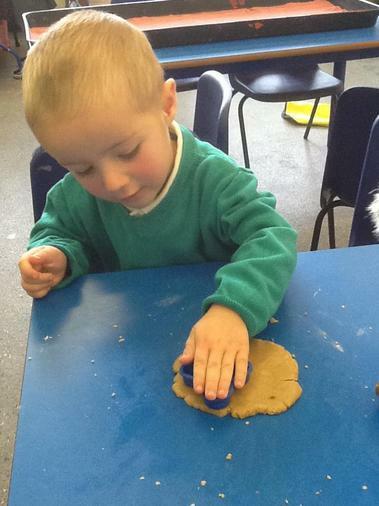 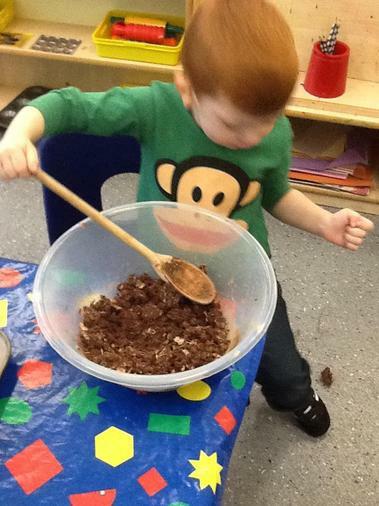 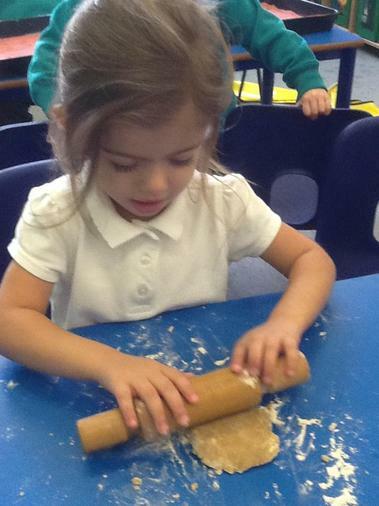 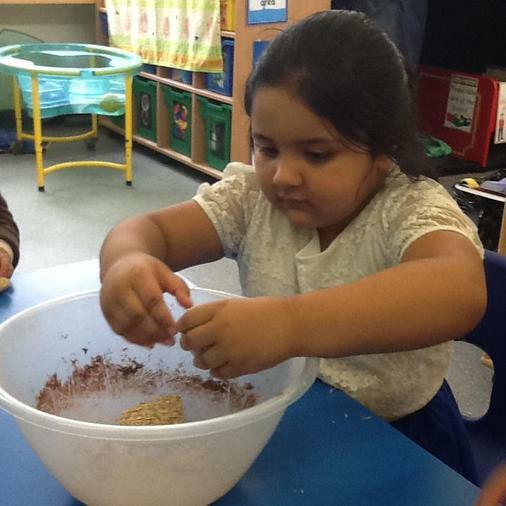 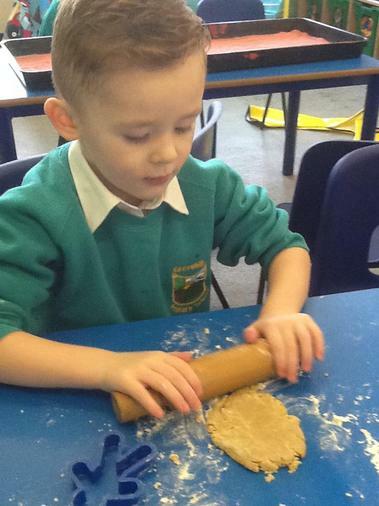 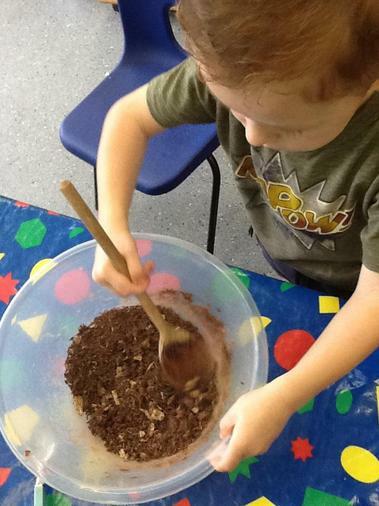 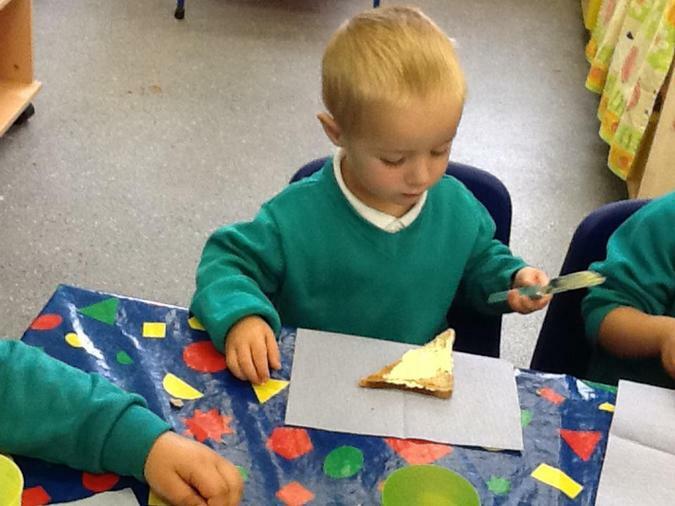 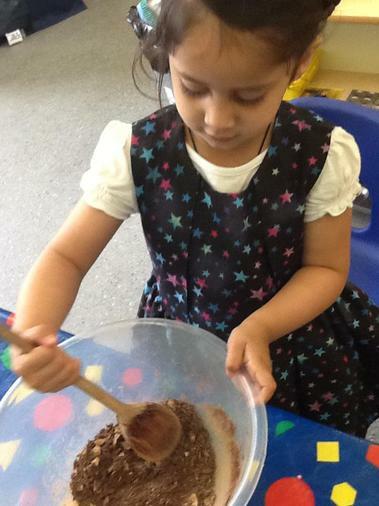 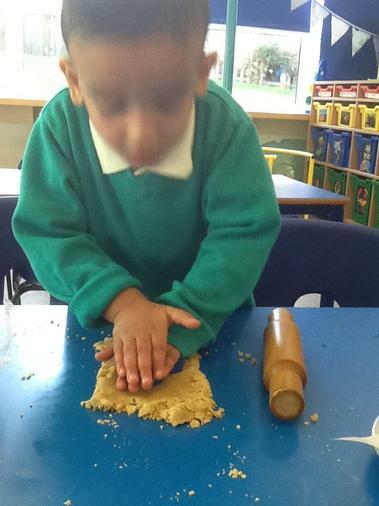 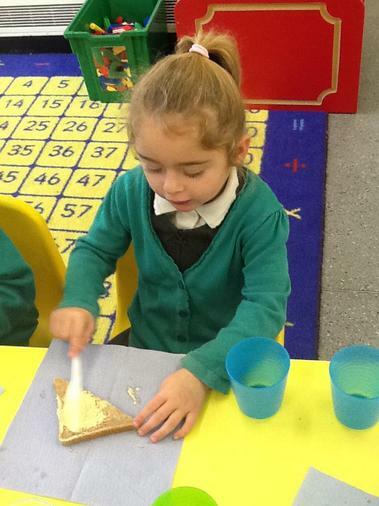 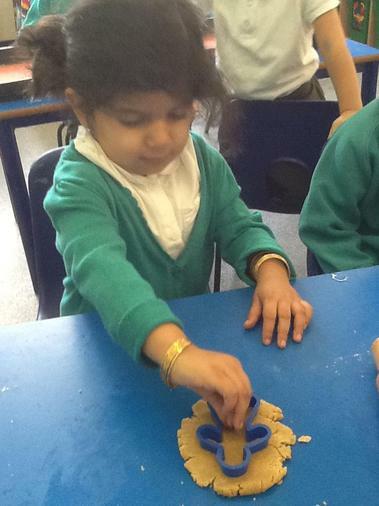 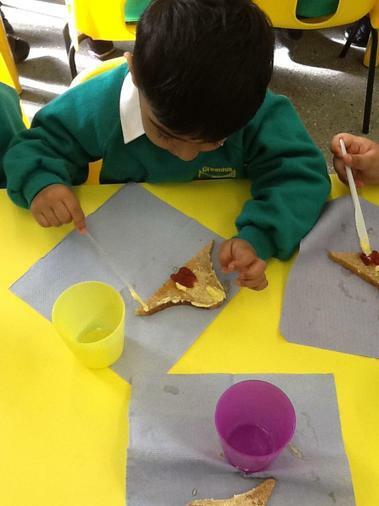 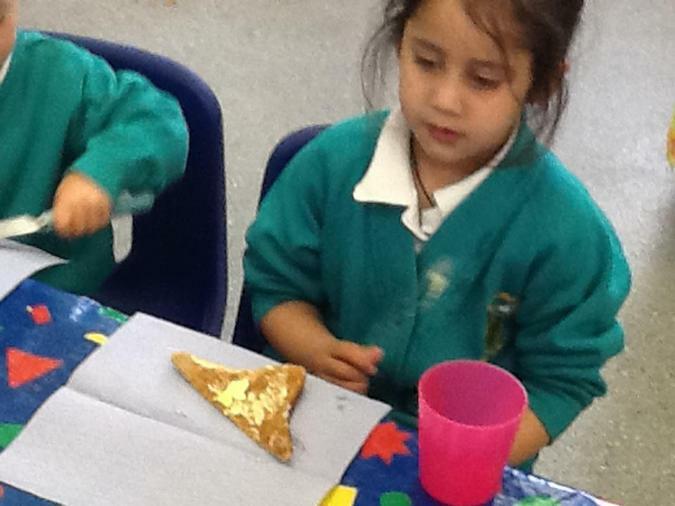 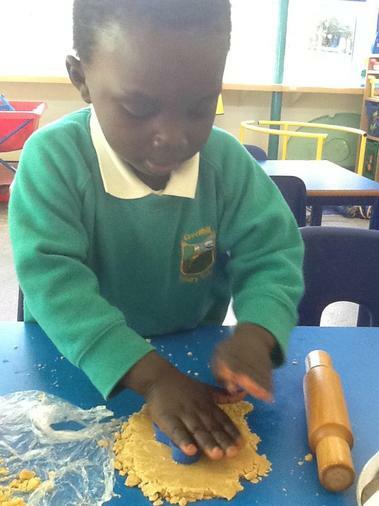 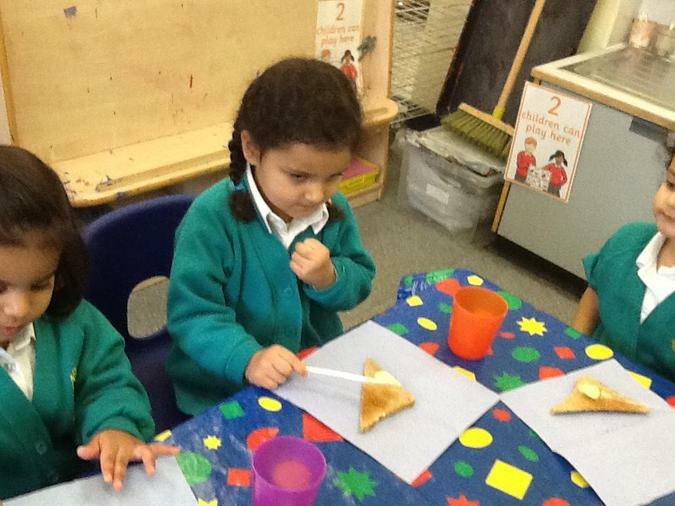 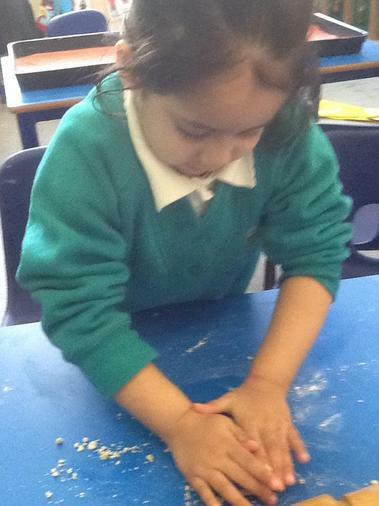 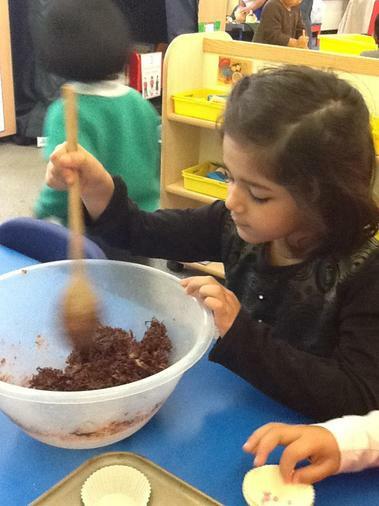 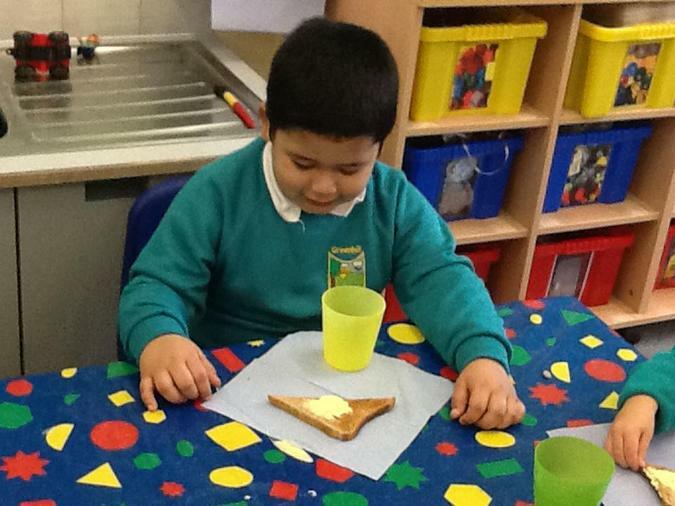 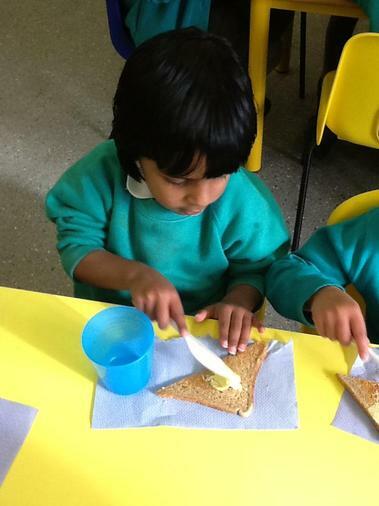 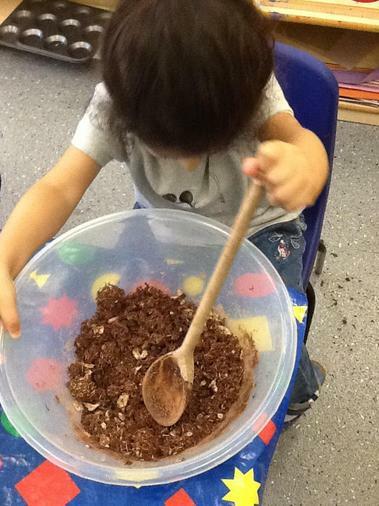 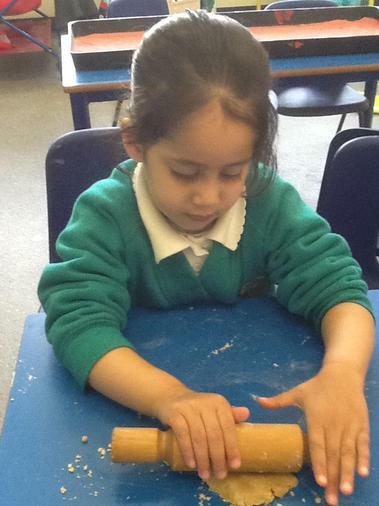 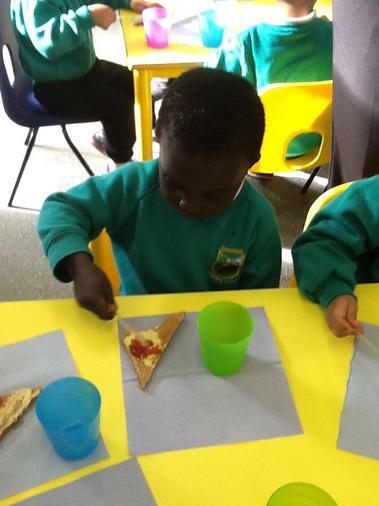 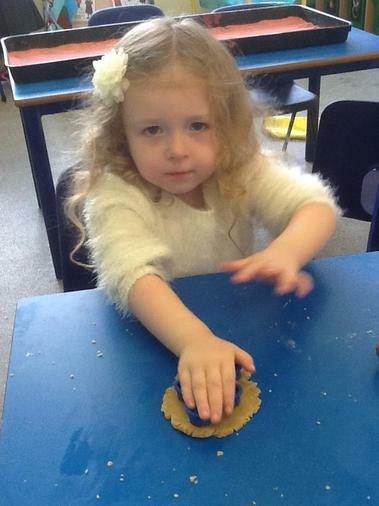 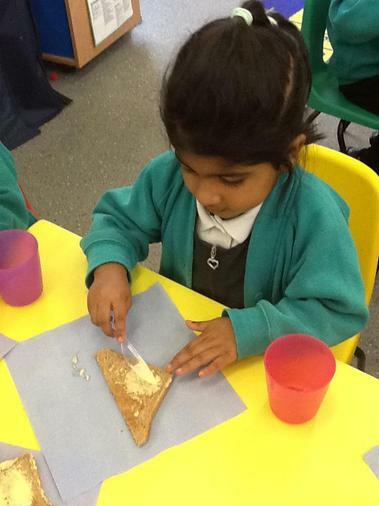 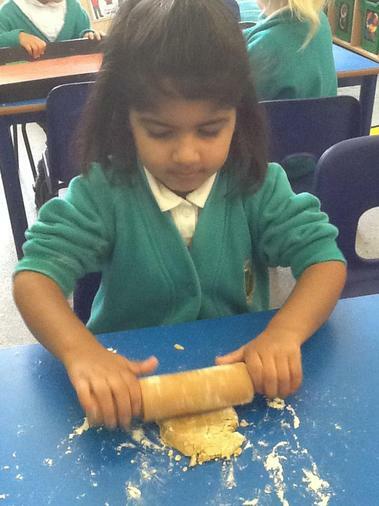 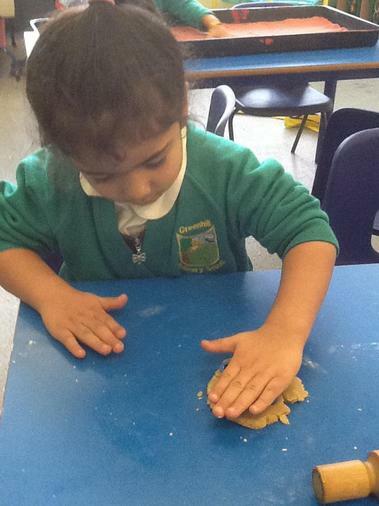 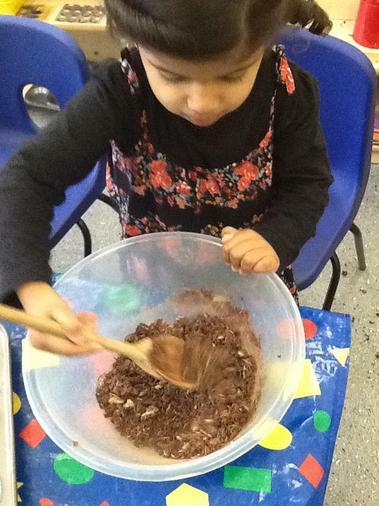 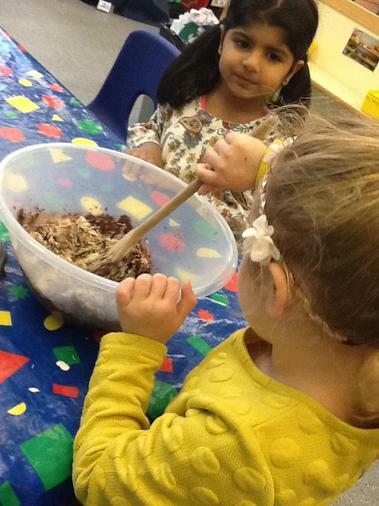 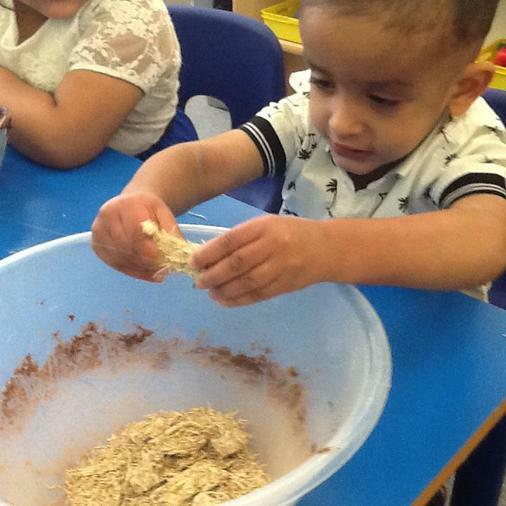 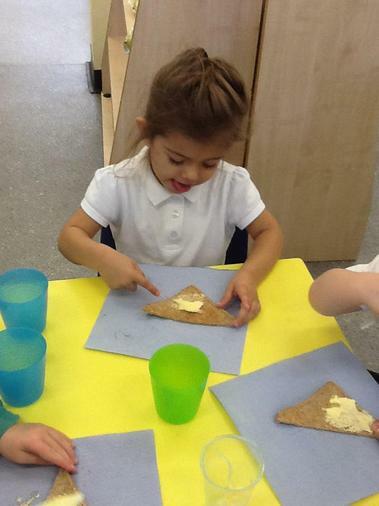 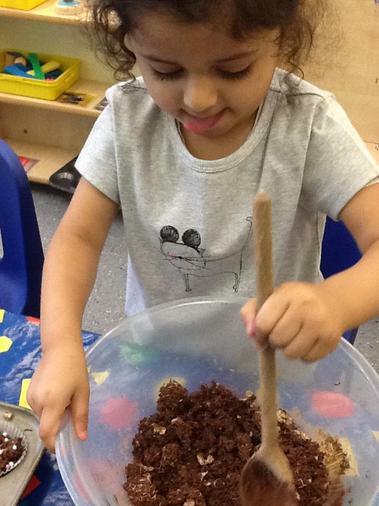 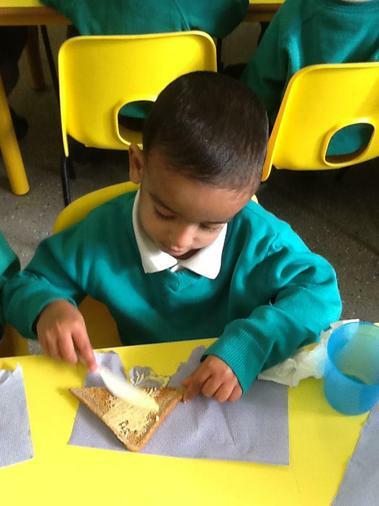 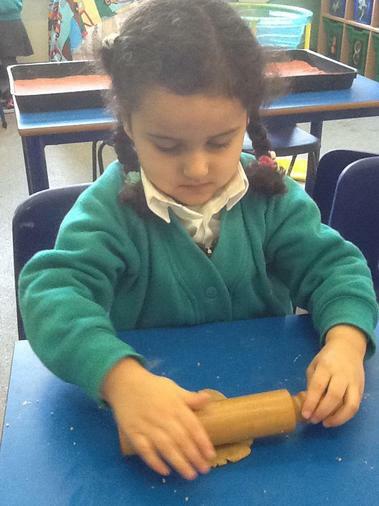 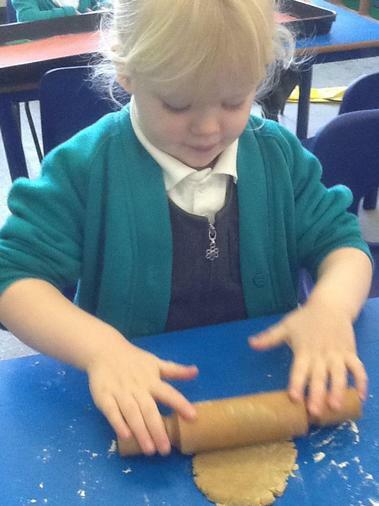 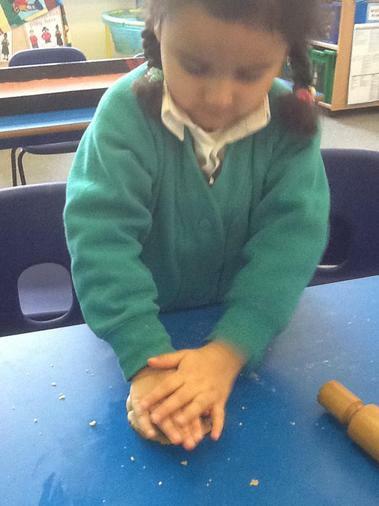 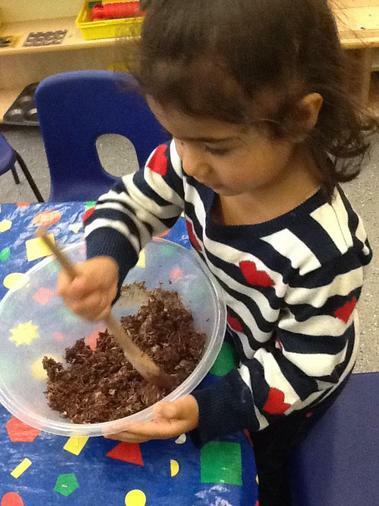 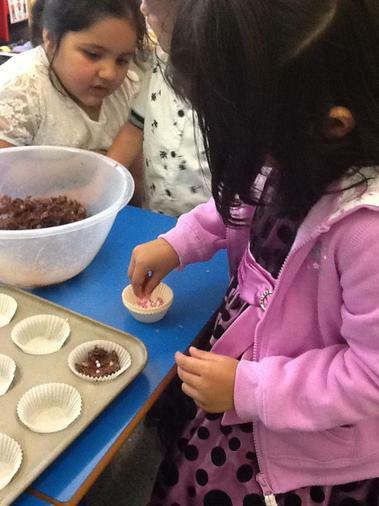 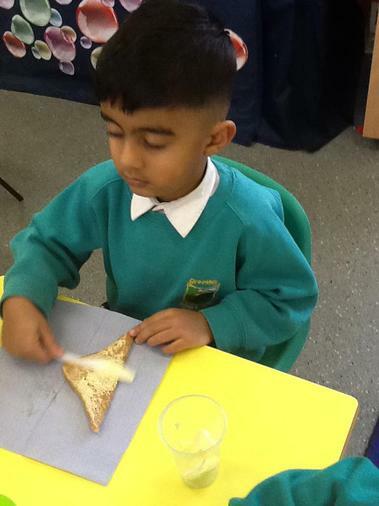 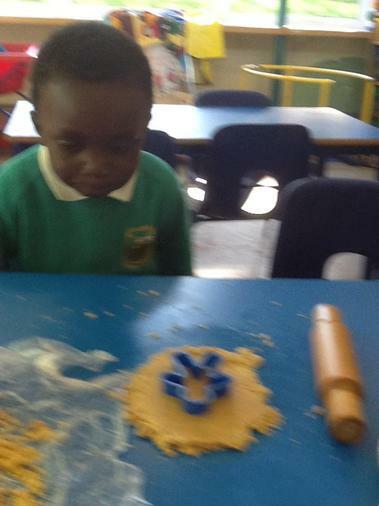 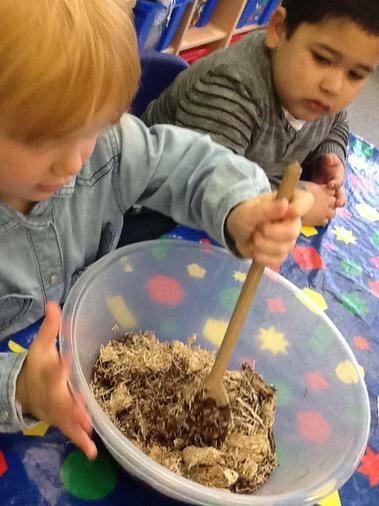 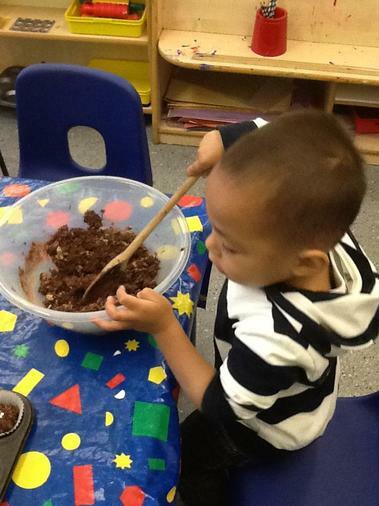 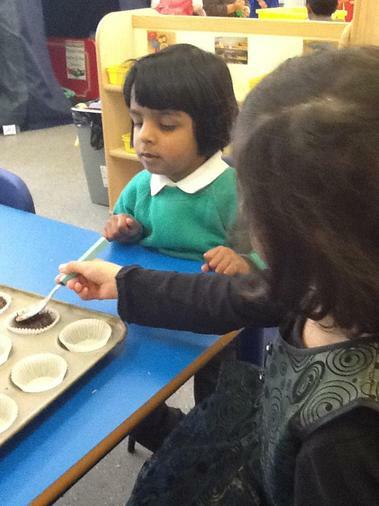 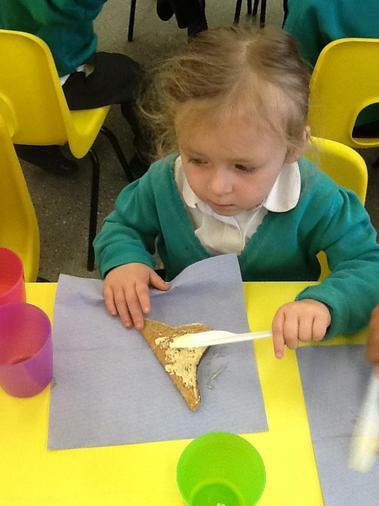 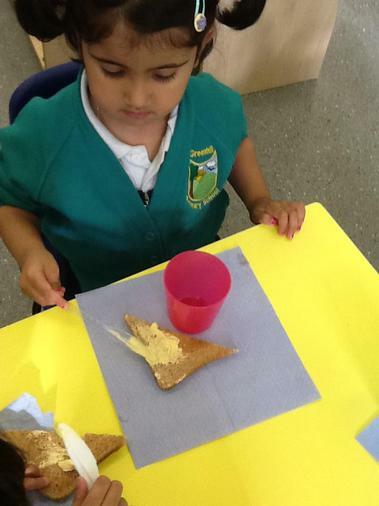 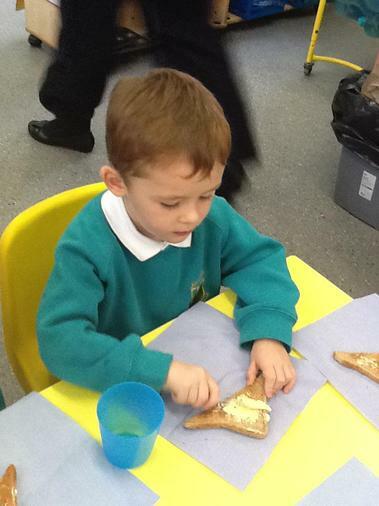 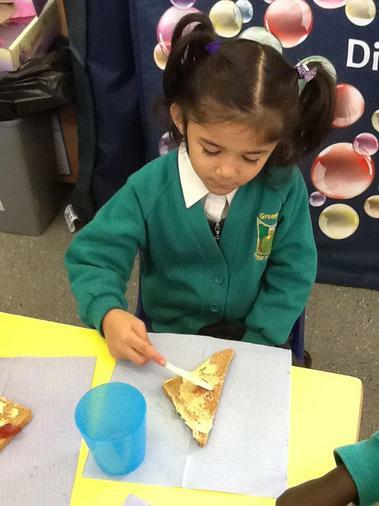 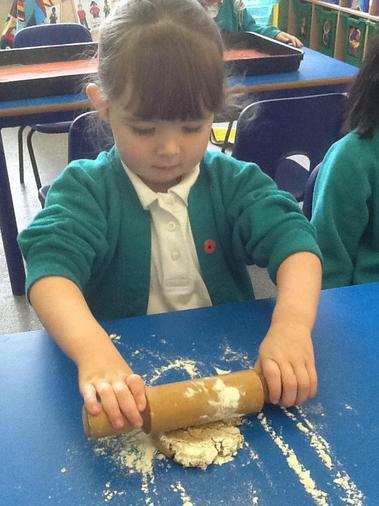 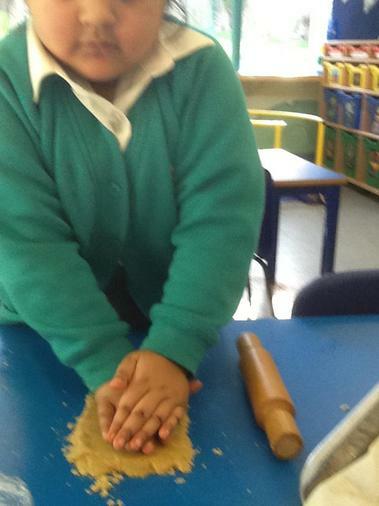 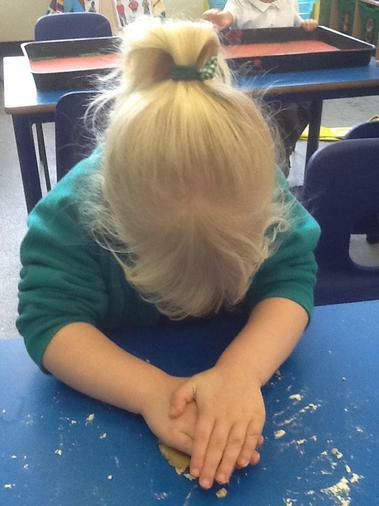 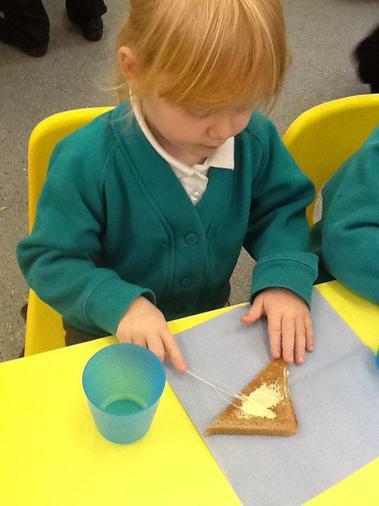 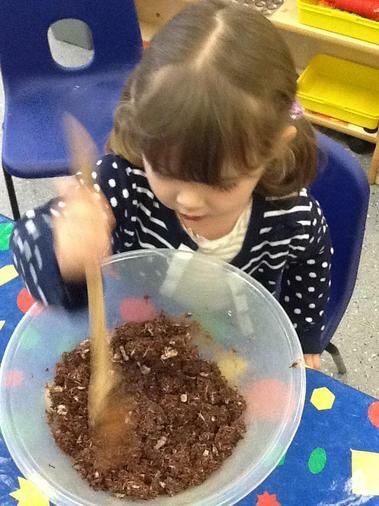 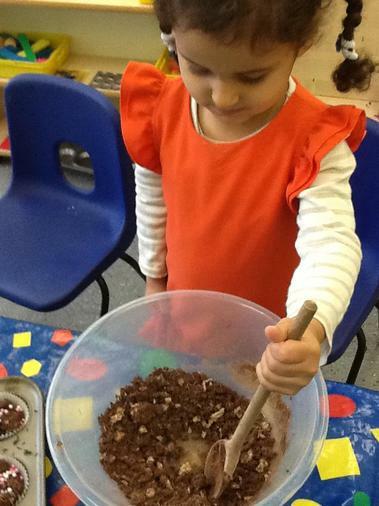 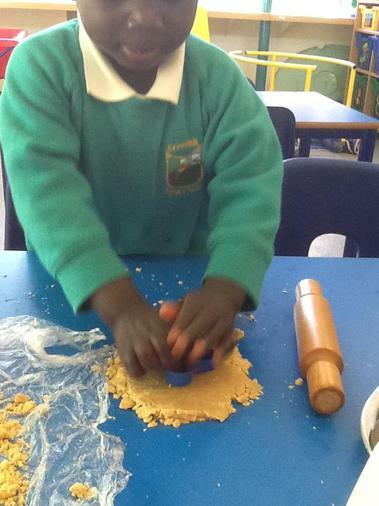 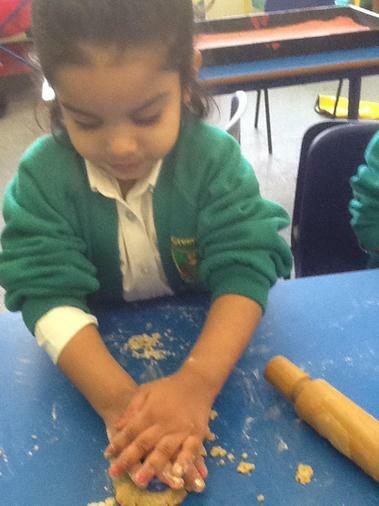 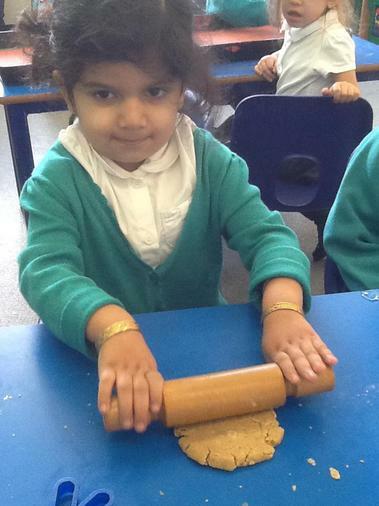 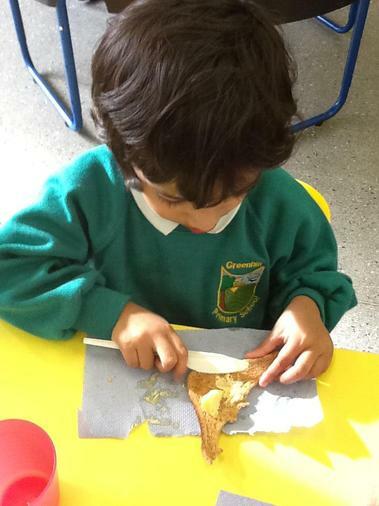 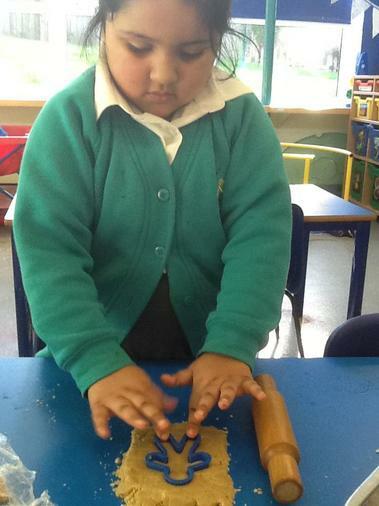 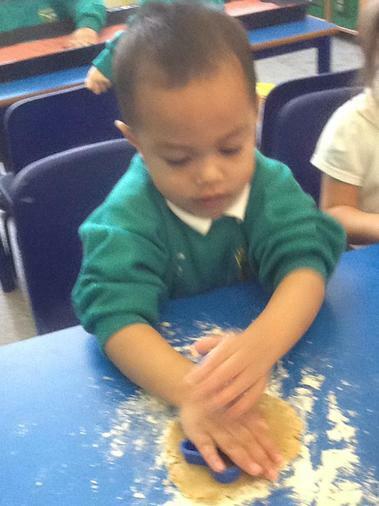 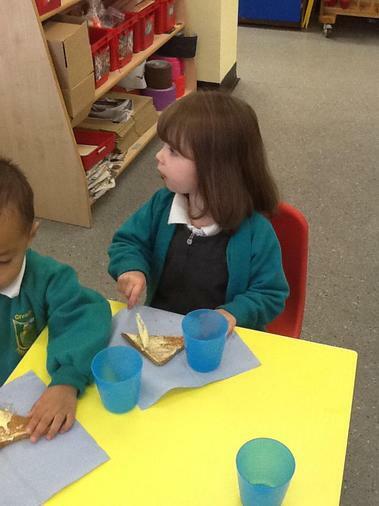 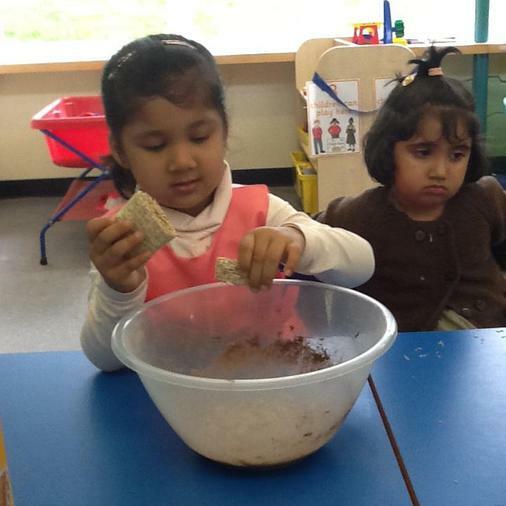 Every Friday the children in Lower Foundation take part in a cooking, baking or food tasting activity. 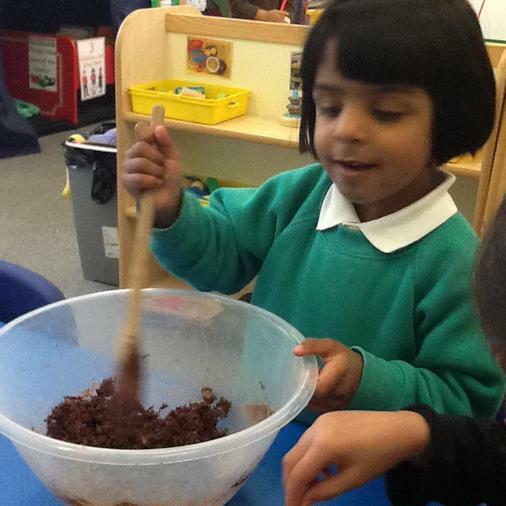 We collect a £2.00 donation towards the cost of ingredients every half term. 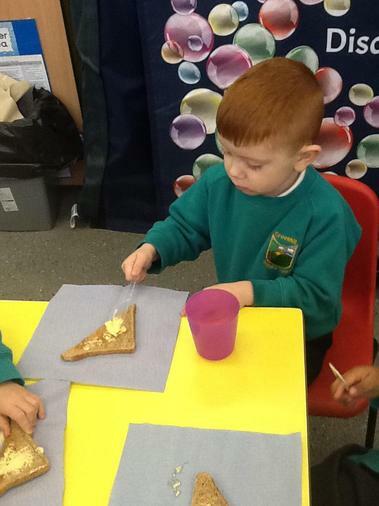 Using a knife safely to butter toast. 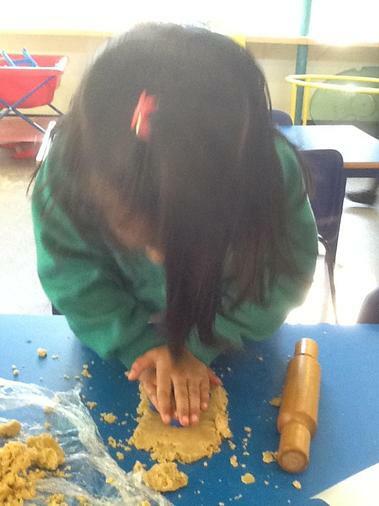 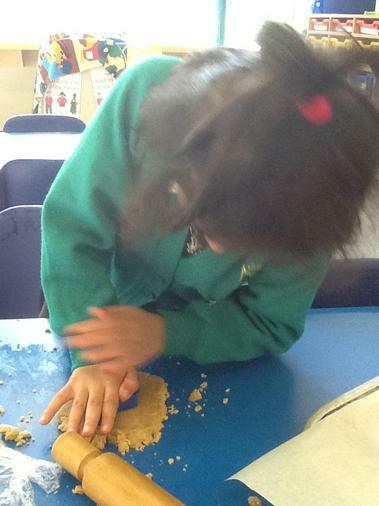 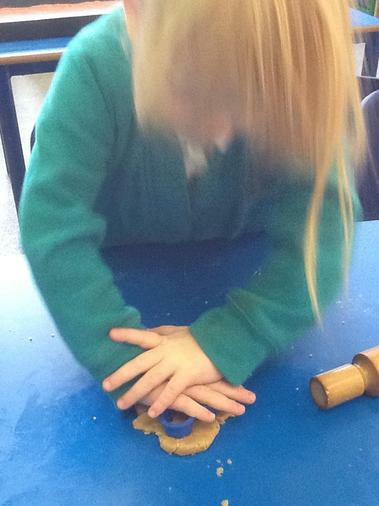 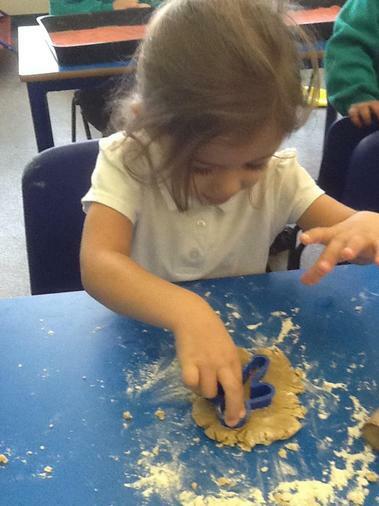 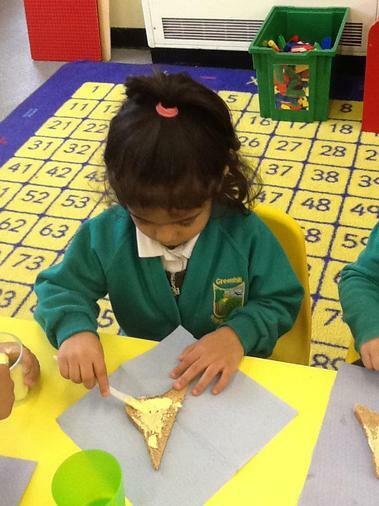 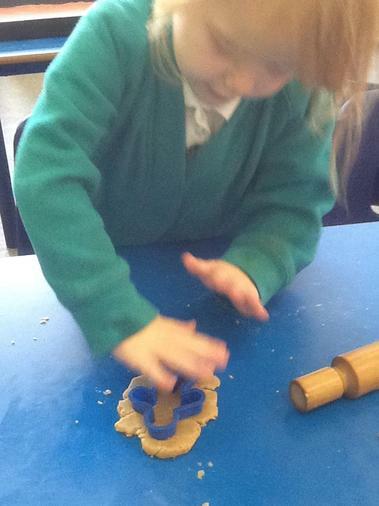 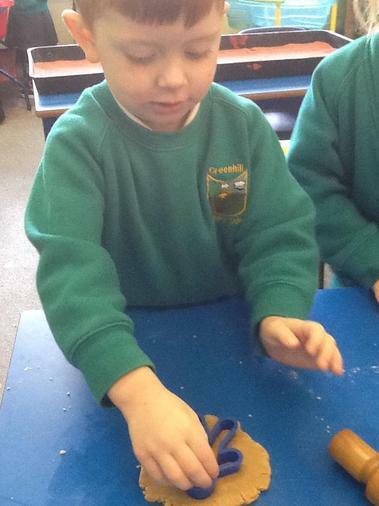 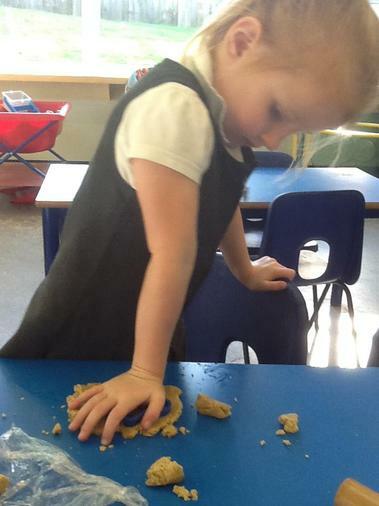 Making our own gingerbread man. 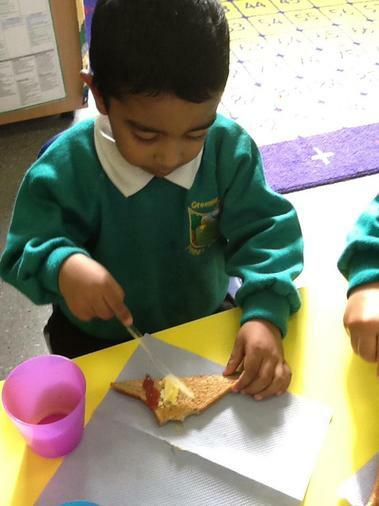 We made fruit kebabs to enjoy at snack time. 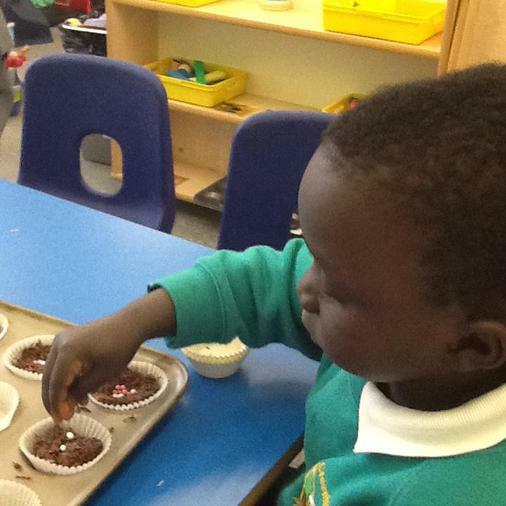 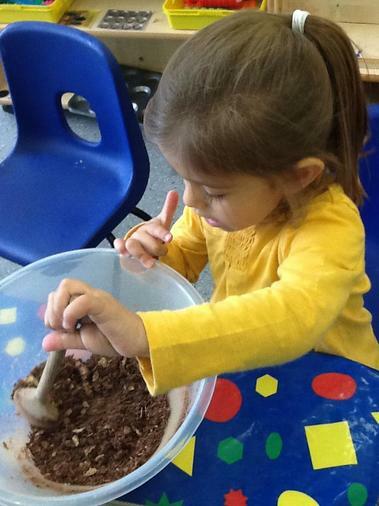 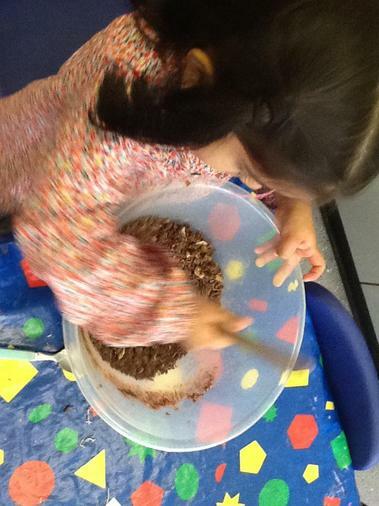 After sharing the story Owl Babies, we made chocolate nests.